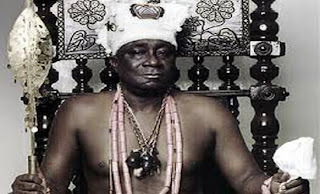 OBA Rilwanu Akiolu of Lagos, yesterday, blamed President Muhammadu Buhari for the rot in Nigeria Police Force, NPF, noting that some decisions the President took regarding the NPF when he was a Head of State birthed inefficiency in the force. Consequently, he urged the President to take advantage of the freedom democracy offers and reposition the Police for efficiency. Akiolu, a retired Assistant Inspector General of Police, AIG, said these in Lagos at a lecture on security entitled: Providing Strategic Solutions to Emergent Security challenges: The Essentials of Synergy among Security Agencies and the Civil Populace. These came as the Inspector General of Police, IGP, Ibrahim Idris revealed that more than 1000 kidnap and armed robbery suspects had been arrested since he assumed office one year ago. Oba Akiolu Explaining his claims that the rot in the Police started during Buhari’s era as Head of State, Akiolu said the reformation of the Police should be considered an urgent task by the President. He said: “The problem of the present day Police began when Buhari was the Head of State in 1984. He seized all the vehicles under the then IGP, Sunday Adewusi, with the suspicion that they wanted to take over government. “I wish him a speedy recovery and hopes that he will return safely to continue with the fight against corruption and also help to restructure the Police since he is now a democratic leader. “The military in this country killed the efficiency of the Nigeria Police. The only thing saving us right now is that only a serving policeman can become an IG, according to the constitutional provision, else, a retired Army officer would have become an IGP. We all need to support the police because the issue of security is not only a problem of the Police.’’ Proffering solution to internal security in Lagos, Oba Akiolu suggested that Police stations should be established within one kilometer from another on the nation’s highways. On his part, Idris disclosed that his special teams had been deployed to highways such as Lagos/Ore and Abuja/Kaduna, where kidnappers strike on a daily basis, with a view to checkmating their excesses. The Police boss further said the collaboration between the Police, other sister agencies, and the Military was being strengthened to ensure effective operation in the country. He, however, called for the establishment of special courts by the National Assembly that would prosecute kidnappers.